Hello, I am Binoy. I am a traveller from the enchanted land of Mumbai. Okay, may be not that enchanted. This is my blog, where I post my photos, stories and the latest updates from my travel escapades. 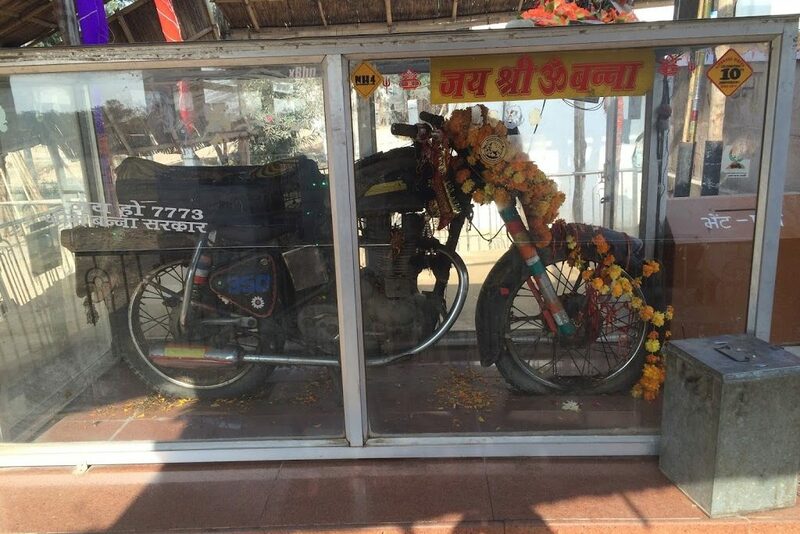 I started with The Bike License to provide everyone with regular fresh dose of my travel stories. If you’d like to get in touch, you can mail me at: binoyparikh@outlook.com and I will get back to you as soon as I can. So, you’re bitten by the travel bug and you want to go on the mother of all bike trips – The Ladakh Expedition? Super! But, should you be going there alone or with your mates? 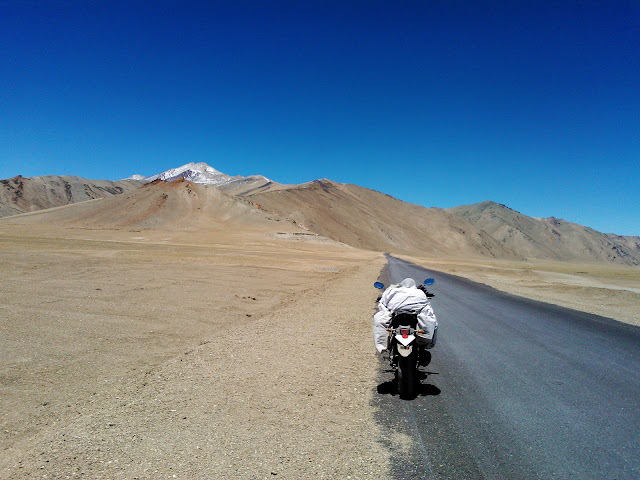 Logic says that when you’re planning a ride to long distances, especially to a place like Ladakh, you should do it in a group. But then again, logic and adventure have never really been best of friends. So, which one should you choose? I’d say, go solo! Choose your own itinerary. Make your own travel plan. You don’t have to worry about whether others are unwilling to go to a particular place or not. If the destination exists on the map and if you wish to go, just march on ahead. 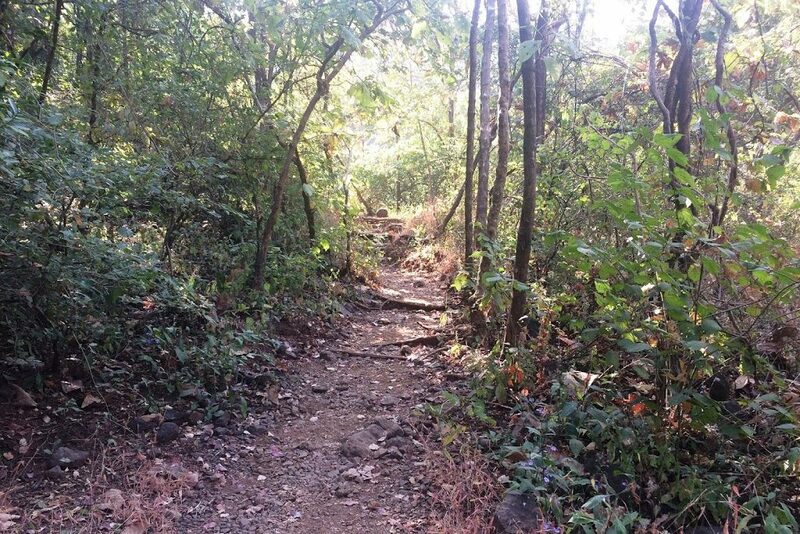 You’ll be free to head off onto the unbeaten path and take the road less traveled. Ride your own trip, not somebody else’s calendar. Motorcycling trip is supposed to be fun and not something you’re forced to do because you’re with the group and they’re running out of time. It’s not a rally where you pass checkpoints and stamp your visit; it’s about taking your sweet time to enjoy the ride, the sight and the destination. While riding solo, you’re not obliged to ride down to the next destination because others have decided to do so, when all you want to do is relax for a couple of more days and breathe in the beauty of the town you’re present in. Just because someone else has put up a tourist destination in the travel plan, doesn’t mean you have to go there. 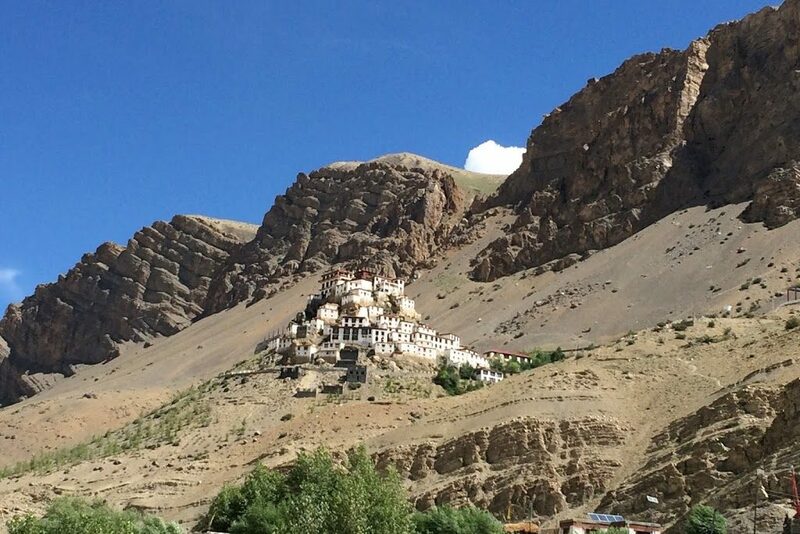 If you wish to stay longer at a particular village OR if you don’t want to go the next town but take a scenic week long detour, you’ll have all the liberty to do it. Spend more time at a location or skip on altogether, it’s totally your choice. Beauty of riding solo lies in this independence. 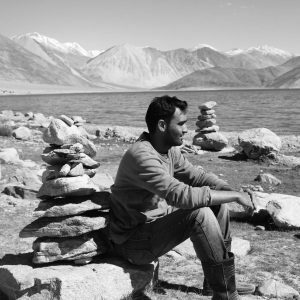 Read about my trip to Pangong Tso Lake here. You’re the best judge of your own pace. When alone, you don’t need to slow down for somebody else nor are you required to ride like a maniac to make sure you keep up with the others. Instances where the entire group slowed down because a photogeek wanted to spend 2 hours clicking pictures are pretty common. There have also been scenarios where the faster rider paid no heed to the slower ones and the entire group split in a 50 km range. Though traveling in a group makes sure you have company at all times, it also keeps you closed, and you never really feel the need to interact with other people. At the same time, while riding alone, you invariably start mingling with others. Irrespective of how introverted you are, you will always make an effort to talk to the strangers. New friendships will prosper and you will get to meet a lot many new and interesting people. You’ll know their stories and you’ll share some of your own too. 5. Make your adventure even more…erm…adventurous!! It’s said that safety is in numbers. But, do you really want to be safe? In that case, you’re probably better off warming your couch, drinking hot chocolate and clicking through pictures of your friends on Facebook. If you want to take the adventure quotient of your ride a notch above everybody else’s, go solo. Yes, “Brotherhood” and all that is fun; but solo riding is where the serious stuff comes to the surface. With no support vehicle or fellow riders to fall back onto, failing is strictly not an option. When you don’t have the expertise of a mechanic at hand, or the luxury to have someone else ride your machine when you get fatigued; you’re left with just one choice – to soldier on no matter what! And at the end of the day, when you finally get the sight of the civilization; the ground reality of your adventure sinks in and you realize what you did was not standard layman stuff. 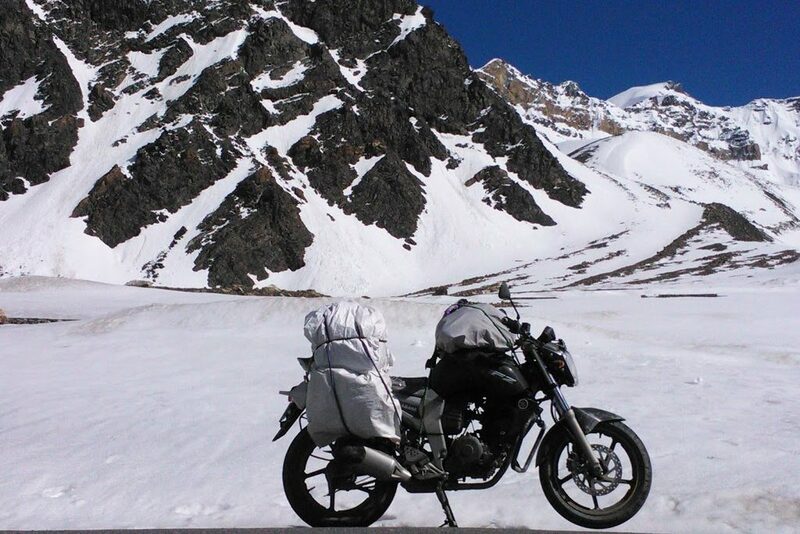 Riding on high mountain passes with your buddies is like a rock concert. The sound of the engines reverberating off the cliffs as you gallop mile after mile is a memorable experience. But, when you do the same feat all alone, it’s like a poetry in motion. Riding in the vast spread of nothingness – just you and your machine – listening to the music of the wind and the whisper of the stream; it’s truly breathtaking! Stop your bike, turn off the engine and listen to the nature – it’ll be so quiet that you’d hear your own thoughts, out loud. Enchanting! For everything that can and will go wrong, you’ll only have yourself to fall back on to. You’ll be required to learn all the trades. As a solo rider, you’re the navigator as well as the sailor. You’re the paramedic team as well as the support crew. It’s all you. 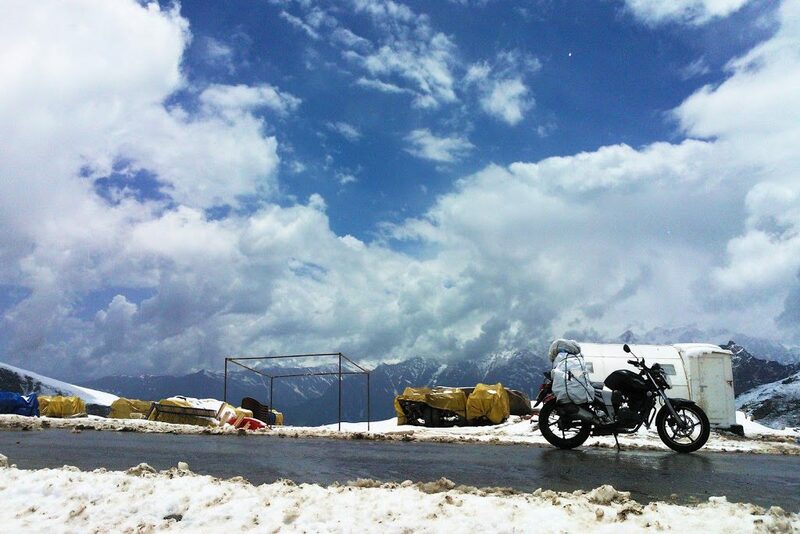 Irrespective of who you are, for this solo trip, you got to be Mr. Know-It-All. And when this reality strikes you, that’s when you’ll invariably start learning things, mastering them. You’re better than you give yourself credit for. You’re stronger than you think you are. To confide in your ability and to tell your distractors how wrong they are, just do it. This is one addiction you’d never want to cure yourself of. Do it once and you’ll want to do it over and over again for the rest of your life. A bad experience with a group might put you off but there’s no chance of that happening when the only company you have is your own self. You may fall, bleed, breakdown and get in trouble in middle of nowhere, but honestly speaking, you wouldn’t want it to happen any other way. There’s no trophy or medal. The only thing you’re slated to gain from the outside world is Respect. 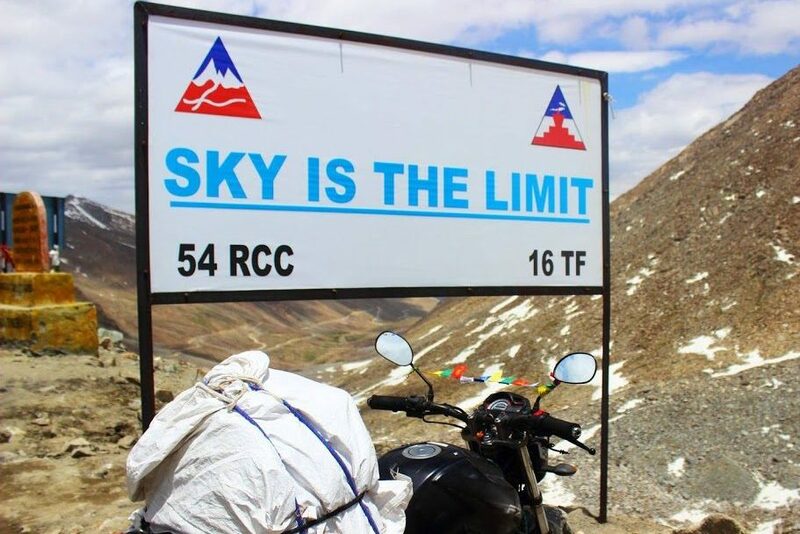 Riding to the Top of the World – Khardung La is no mean feat even when you do it in a group, but when you do it all alone, the respect quotient raises 10 fold. 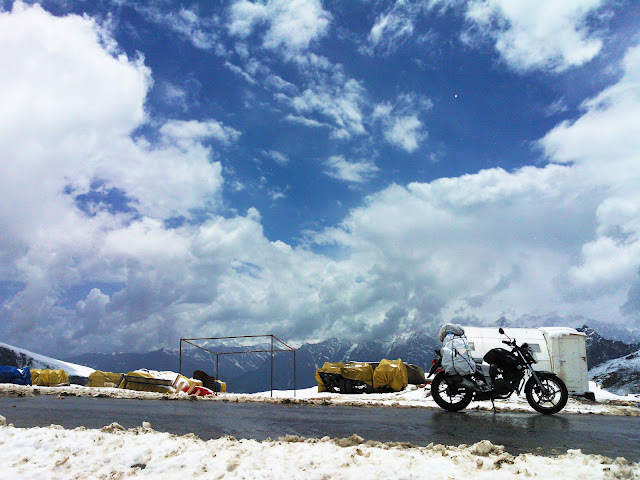 Solo riding to the gorgeous wilderness of Ladakh is all this and much more; stuff that words fail to describe. So just get out there and get going. You’ll come back with an experience that you’ll tell your grandkids about. I promise. How I hugged the world!